Sam leads two lives. In winter, he stays in the frozen woods, with the protection of the pack. In summer, he has a few precious months to be human, until the cold makes him shift back again. When Grace and Sam finally meet, they realise they can’t bear to be apart. But as winter nears, Sam must fight to stay human – or risk losing himself, and Grace, forever. Perfect for fans of Twilight, this hypnotic and unsettling love story was voted “Best Book to Curl Up With” by Glamour magazine. Why does Grace feel so drawn to the forest and the wolves she sees on the edges? And how can she feel so connected to one particular wolf, who is there and then disappears? The story draws you in, like the forest draws Grace – and you won’t be able to stop reading to find out what happens, it’s compelling! The mystery slowly unfolds with characters that make you care about what happens to them – I loved this story. After a long stretch of teenage vampire novels it’s now time for werewolves to take centre-stage! Maggie Stiefvater’s ‘Wolves of Mercy Falls’ trilogy is a must-read for fans of the Twilight series. It has the perfect combination of romance, suspense and mystery to keep you gripped and wanting more. For years, Grace has watched the wolves in the woods behind her house. 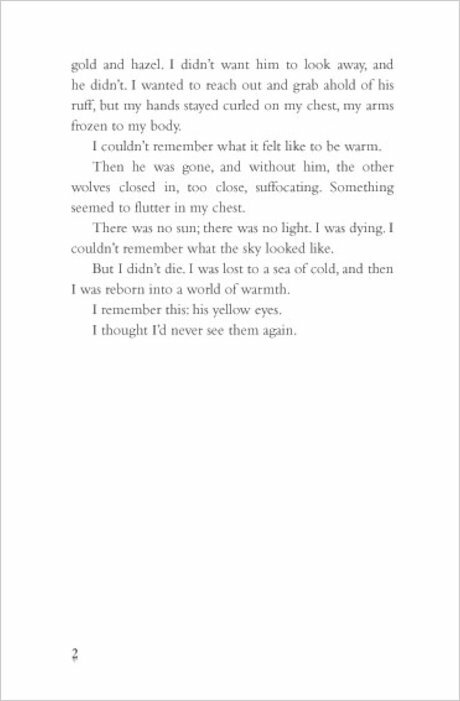 One yellow-eyed wolf-her wolf-is a chilling presence she can’t seem to live without. Meanwhile, Sam has lived two lives: In winter, the frozen woods, the protection of the pack, and the silent company of a fearless girl. In summer, a few precious months of being human . . . until the cold makes him shift back again. Right, so I finished this book, and spent the whole evening, night and the majority of the next morning procrastinating over how to start my review. I didn’t have the slightest clue on how to put my SHIVER experience into words, which is something that has never happened before either. Firstly, this book has changed my whole outlook on the young adult genre, yep, it really is that good. I attempted to put my feelings into words, but everything that come into my mind, fell shy of describing my experience and impressions of this book. I just hope my review goes someway in giving the book and author the justice they deserve. The female protagonist Grace is an independent seventeen year old junior. Six years ago, she was attacked by a pack of wolves in the woods near her home. During this time, to distance herself from the attack, she focuses her attention on one particular wolf, a wolf with strange yellow eyes. Over the coming years, she watches this wolf from a distance, and he too watches her. What Grace doesn’t realize at first is that the wolf has a name “Sam”, and also a human body, but only when the temperature rises above a certain degree. 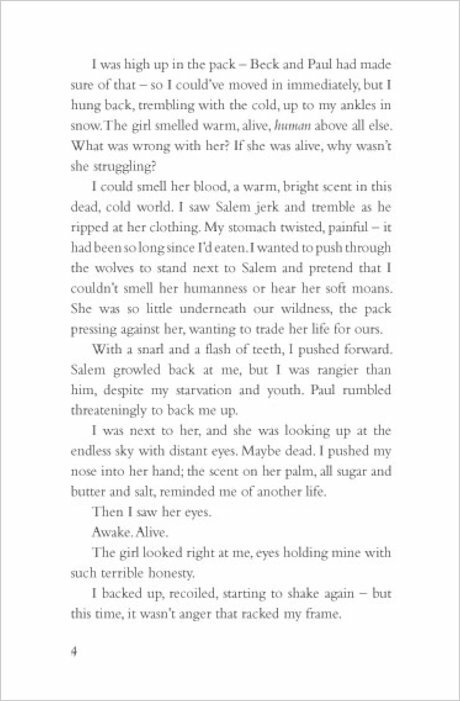 It seems to me that this is Grace’s coming of age, as she discovers herself and learns more about the mysterious wolves. SHIVER is told from both Grace’s and Sam’s perspective and their voices are so unique and beautiful, that not once whilst reading this extraordinary novel, did I have to check the chapter page to see who was telling the story. The story is beautiful in it seamlessness, the plot and characters come together in perfect harmony, with epic amounts of emotion, without being too much. Like LAMENT, the prose is so poetic, I found myself full of envy at how Stiefvater can make writing seem so perfect. The love story is so believable and powerful, the saying “Love can overcome anything” rings true with this tale. The bar on supernatural romance has been raised, so other authors beware! Although the wolves in this book are nothing similar to wolves you may have read about in the past, this new view on wolves is so refreshing, I think people will start to reconsider their notions on the traditional lore. Sam and Grace’s relationship, is achingly sad, passionate and will make you shiver all over (sorry for the pun, couldn’t help myself). This seems to be the most distinctive and unique relationship I have ever experienced. 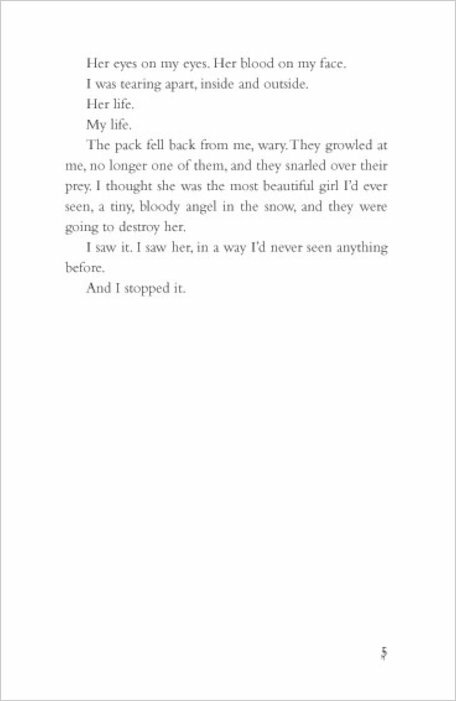 The notion of a human girl being in love with a wolf does seem unreal, but not once during reading the book did this thought enter my head. More like Sam being a wolf was just symbolism for his character, more like a metaphor for his true state of being, rather than actually being a wolf. The wait for this book did not disappoint, and now has a very special place on my bookshelf. I am eagerly awaiting the release of LINGER, which such renewed vigor now that I have had a slice of the action. 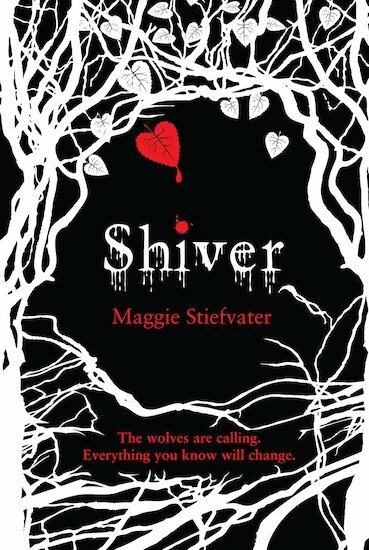 SHIVER, has debuted at number nine of the NYT bestseller list, so congratulations Maggie, you are a literary genius. 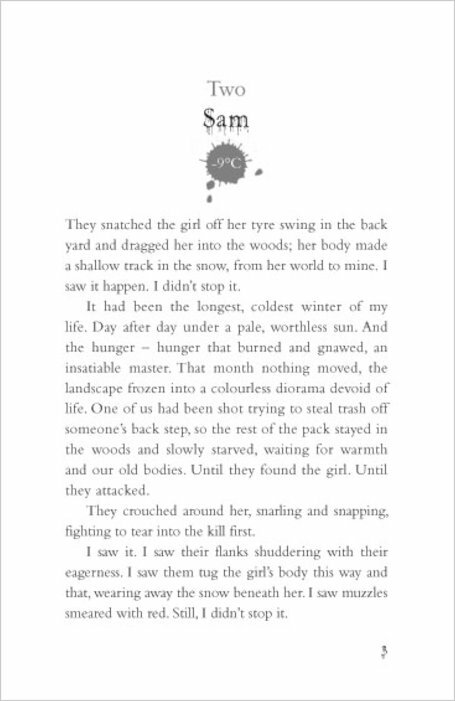 SHIVER will shake the young adult genre down to its roots with it’s complex yet simple style, as dangerous and broody as it is lovely, this is an exceptional novel. Move over Edward………….Sam is here! !